On a relaxing weekend, the lazy sunshine is pouring in through the window while you’re sitting on the couch drinking a cup of coffee and waiting for fresh bread to come out. What kind of bread did you make this time? Let me guess, sweet toast, soft bread, whole-wheat bread, milky loaf, multigrain bread, baguette, or chocolate cake? If you’re passionate about making all kinds of cakes and desserts, here’s a suggestion that ALBOHES, an incredibly versatile bread machine, always stands by to make delicious breads for you. Just imagine how happy it is to wake up every morning with a smell of fresh bread – featured with timing function, this smart ALBOHES help you realize that effortlessly. The ALBOHES Bread Maker is quite portable and can be fixed in any corner of the house. 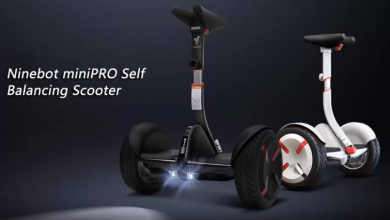 It has a dimension of 34.50 x 21.50 x 31.00 cm and has a total weight of 6.3700 kg. 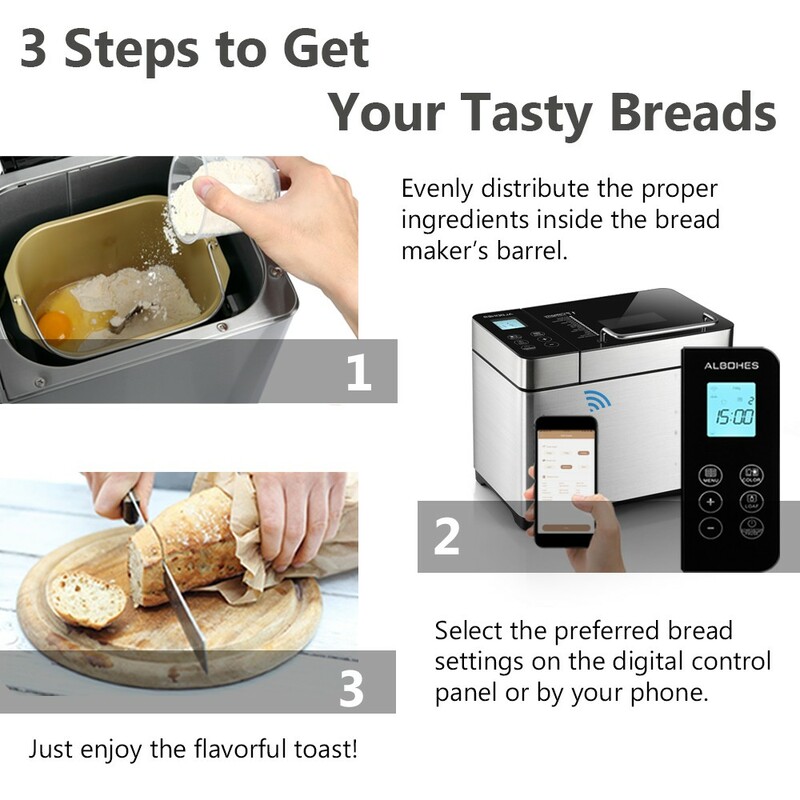 This device makes bread making a very easy thing, all you just have to do, is to “evenly distribute the proper ingredients inside the bread maker barrel and select the preferred bread setting on the digital control panel or on your phone” and that’s all. Talking about selecting the preferred bread option, everybody has there different taste and the kind of bread they want. With this in mind, ALBOHES has embedded the machine with 17 different bread options to suit everybody’s taste. This option includes soft bread, sweet bread, natural sourdough, baguette, whole-wheat, sugar- free, multigrain, milky loaf, jam, bake, yogurt, cake. 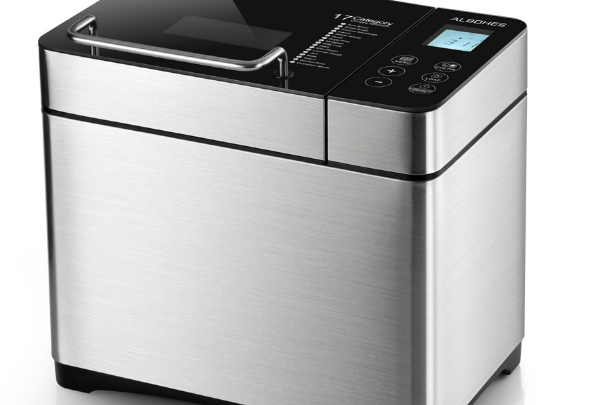 This bread maker can be used to make bread of different sizes such as 500g / 750g and 1000g. 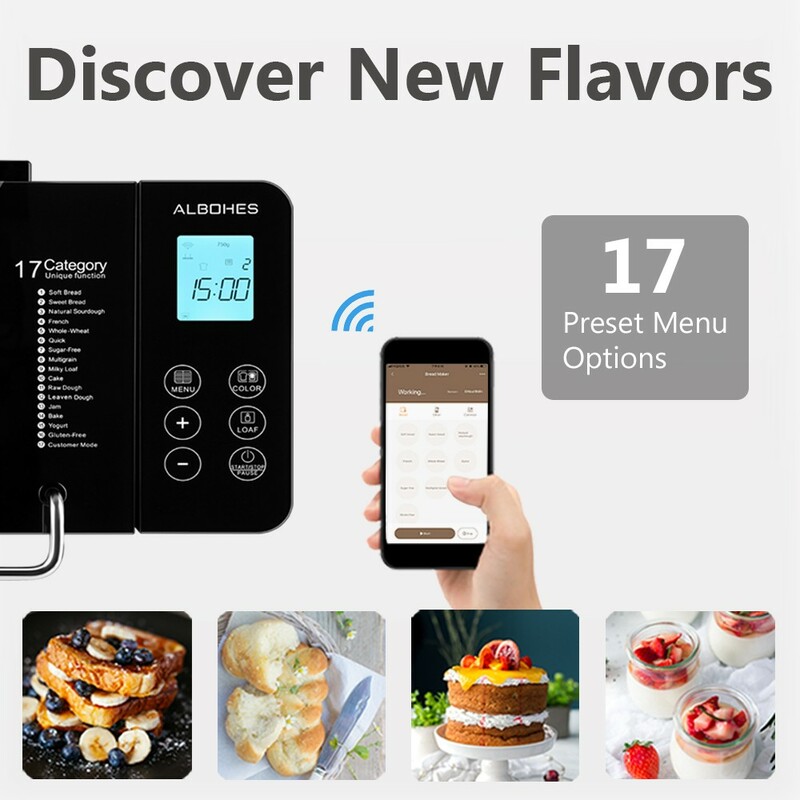 The ALBOHES Bread Maker can be controlled using the digital touch-button control panel or controlled by the App on your phone, or Alexa to control the switch. It as a built in an LCD screen and a viewing window, which can clearly show the machine running state. 3 bread crust colors: light color, medium, and dark color. 3 bread sizes: 500g / 750g / 1000g. Support wireless control: can be controlled by the App on your phone, or Alexa to control the switch. Built in an LCD screen and a viewing window, which can clearly show the machine running state. Specific timing function: the purpose of this performance is for your having the fresh bread on the next morning. 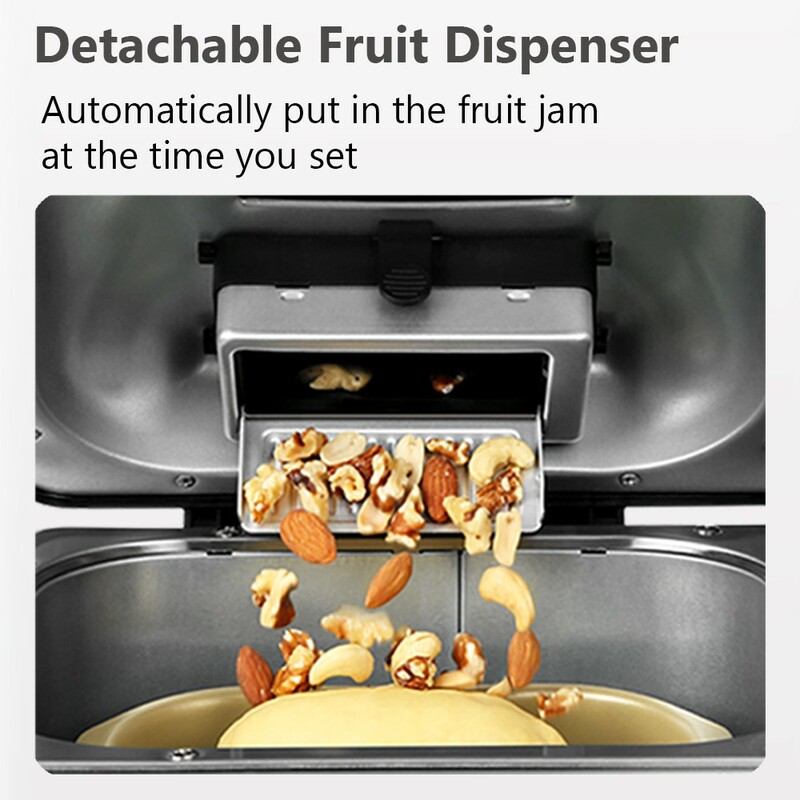 Detachable fruit dispenser: automatically add the fruit material at the time you set.